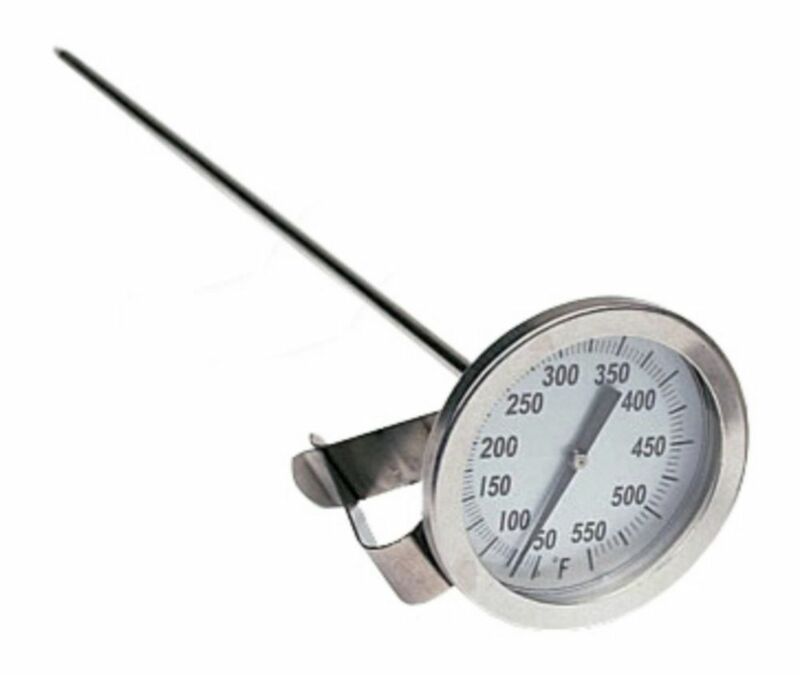 Take the guesswork out of your cooking and accurately measure temperatures with this heavy duty 12 inch thermometer. Measure temperatures up to 5500 F/287.78 0 C on the analogy readout dial. A convenient clip is included for easy pot attachment. 12 inch Dial Thermometer Take the guesswork out of your cooking and accurately measure temperatures with this heavy duty 12 inch thermometer. Measure temperatures up to 5500 F/287.78 0 C on the analogy readout dial. A convenient clip is included for easy pot attachment. 12 inch Dial Thermometer is rated 5.0 out of 5 by 1.